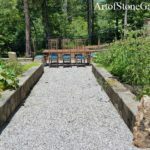 The steps at this home were falling away from the foundation. 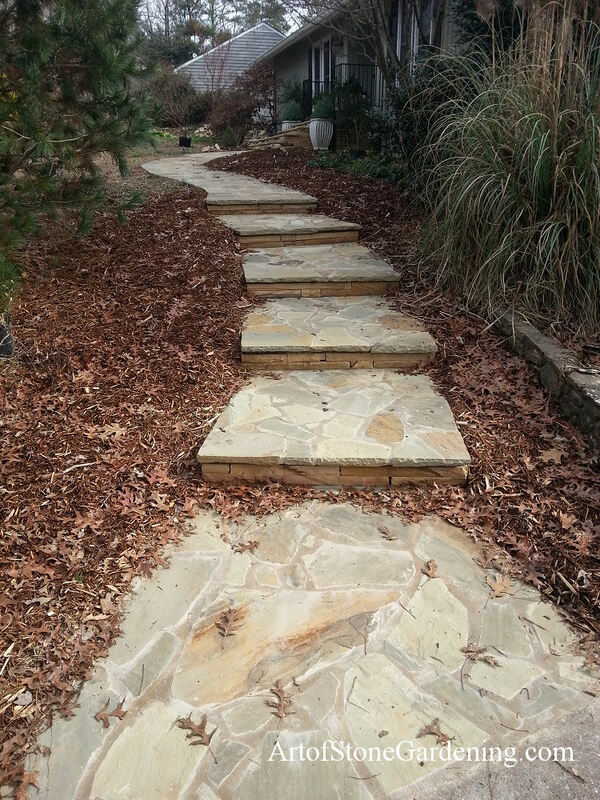 Missing, also, was a level pathway to get to the front door. 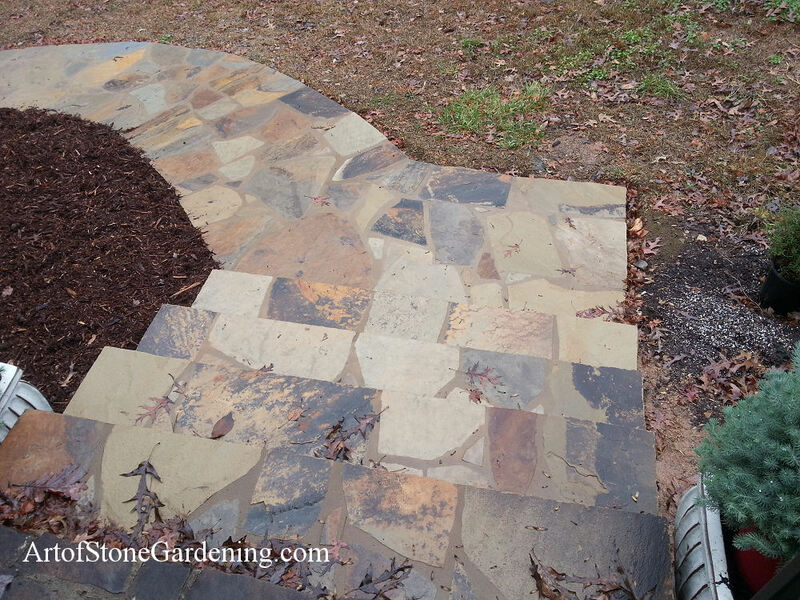 The client chose this Crab Orchard Flagstone because of the variety of colors in the stone. 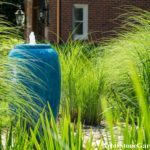 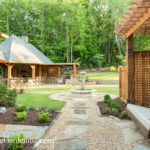 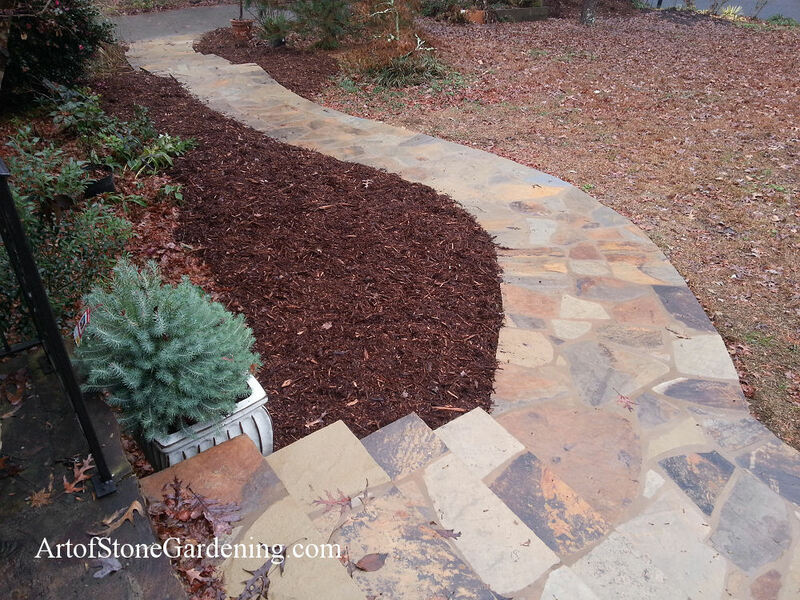 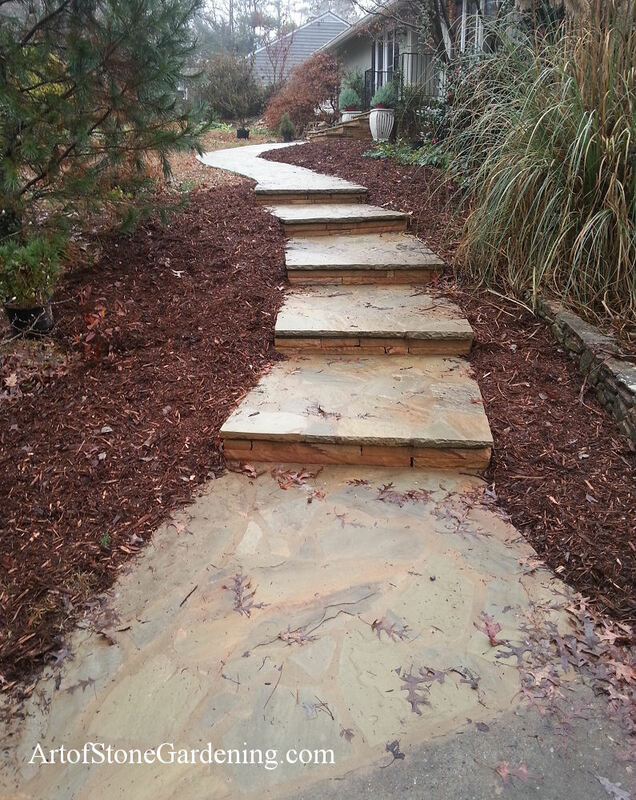 We curved the path from the front door to the driveway to add some more interest to the home.